Send an email with this Poster Exchange email link and as soon as it's received it will be posted on this page. 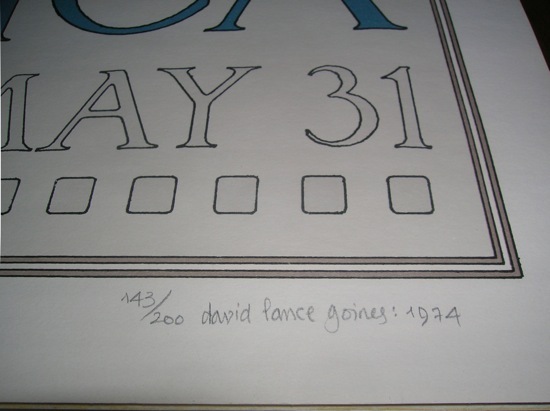 Please keep the David Lance Goines graphic arts poster description brief, 25 words or so for each posting. We'll endeavor to include thumbnail illustrations of the posters but if there are more than a dozen or so, space considerations may make it necessary to list only the poster number and title. Try to be specific as to the title or subject matter. If you're hazy about a particular poster, go to the POSTERS BY GROUPINGS section, open up one of the groups and see if you can find the exact poster in which you're interested. On the other hand, if you know the poster's title or some key word close to it, go the Home Page and on the bottom right-hand side, you'll find a Google search box. Enter the title or search term and hit the "Search goines.net" button before clicking on Google Search. Unfortunately, at this time, we are unable ourselves to handle exchanges of David Lance Goines graphic arts posters through this website. Nor can we be responsible for posters obtained through this poster exchange web page. But this may the one place in which you can find that long-sought-after poster that has always eluded you. Good Luck. This web page is the current poster exchange page. As it is archived generally every quarter, previous postings of those seeking or offering posters can be found by browsing through the following archived quarters listed at the end of the page. In actual practice, requests and offerings are left for a year and then only removed if the originator cannot be contacted. There is currently no limit on how long exchange postings can remain on the site. 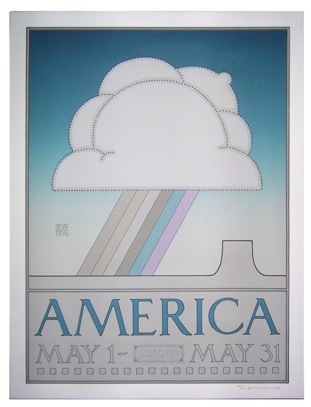 Portal Publications issued reproductions of forty (40) originals of Goines posters. If you think that a poster may not be an original, do the following: check the size: if the poster is taller than 24 inches, it is a facsimile. Also, facsimiles have a line across the bottom saying "Portal Publications." At the same time, they are printed by 4-color process (lots of little dots) rather than by solid color lithography (no dots). Last, they are on semi-shiny paper, whereas I print on a soft-surface, dull looking paper. 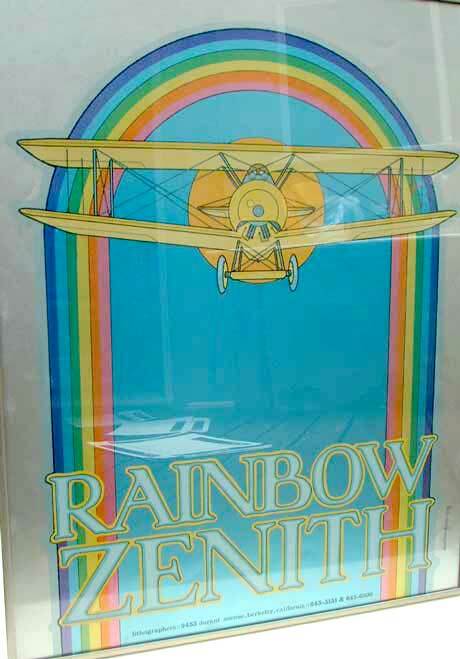 In addition, "posters" are sometimes offered that are simply reproductions torn out of a 1978 coffee-table-sized book entitled "The David Lance Goines Poster Book," published by Harmony Books, New York. The reproductions are by four-color process, and the book is 15-1/4" x 11-1/8". 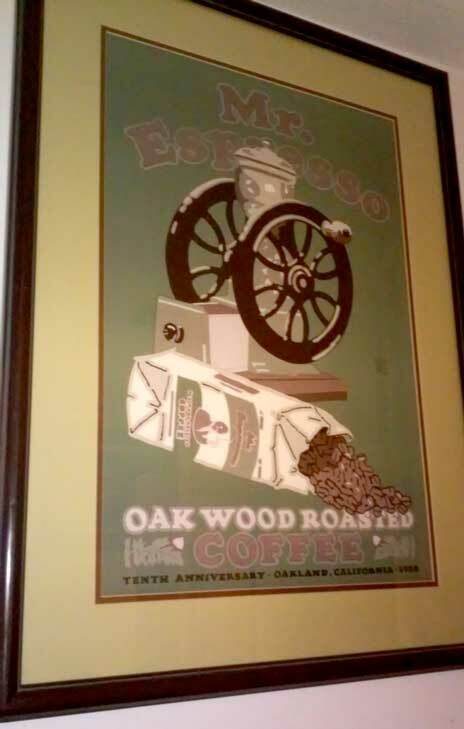 If your poster is indeed a reproduction, it has little commercial value. When buying a poster that you have not seen, be aware that there are less than scrupulous sellers who will misrepresent, either from ignorance or malice, what they are offering. Caveat emptor. I have a number of Poster 123, the LU biscuit poster. These posters are for offered for purchase at $100 each or negotiable for several. They have never been framed, most are first editions, and none are signed. More info/photos available. Posters are in San Francisco in case you want to inspect them or avoid shipping costs. Please contact Judith. Professionally framed and matted (original). Local pickup in Alamo, CA. $100. These posters are for offered for purchase. Most have never been framed, most are first editions, and none are signed. More info/photos available. Posters are in Berkeley in case you want to inspect them or avoid shipping costs. I have a signed copy in pristine condition of the (#18) Shere . As I understand, it's one of only eleven, I also have a pristine Hubbard #100 Hubbard, signed and numbered 170 of 300 and a pristine Full Circle, Full Circle poster (# 62), signed and numbered 42 of 300. The three posters are archivally framed and matted. 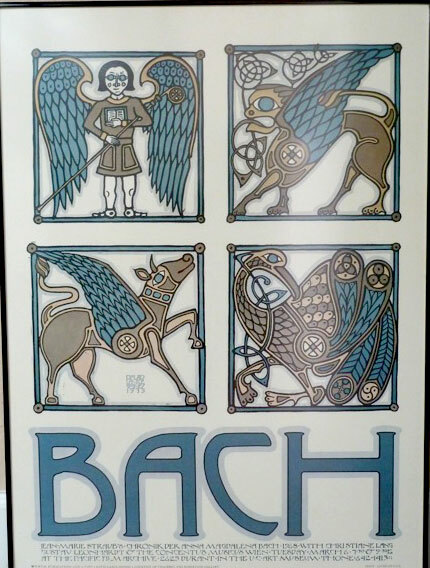 OFFERING FOR SALE: ALL unframed Original Posters signed by David Lance Goines. flat between acid free paper. ARE AVAILABLE, ie., BUY 1ST POSTER AS PRICED ABOVE . . . 2ND BUY @ 1/2 PRICE. The following are available for direct purchase via PayPal or credit card via Square. All originals, signed and numbered. 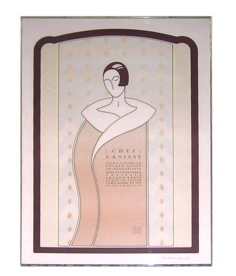 Directly purchased from David Lance Goines by a designer and her husband many years ago. Price includes shipping and insurance anywhere in the United States, protected in a sturdy 5" tube. I am not a professional art dealer, but I've attempted to be overcritical in describing condition. If you have any questions please ask. Any glare or washing out of the image is due to lighting, not the poster itself. Excellent condition, with no noticeable wear. There is a faint line that appears to be a printing artifact. It's located about 2" from the right edge, and runs vertically through the dark coffee colored background. There are a couple of sand-grain-sized flecks in the darkest outside border of the poster in the bottom right edge. This also appears to be a artifact from the printing process and not damage. Excellent condition, with no visible wear. 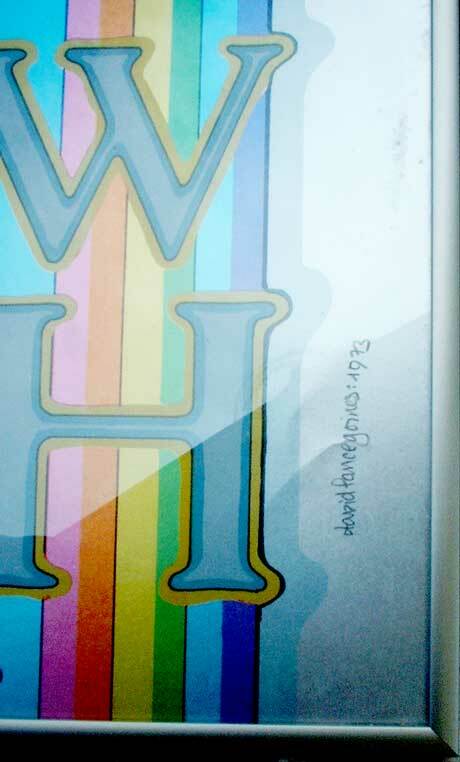 There is some variance in the pale background that appears to be an artifact during the printing process, showing as a slightly darker band of color, primarily visible above the back of the figure. Excellent condition, but for a 1/16" corner bump top left, and a 1/16" corner chip top right. The blue background in the top right corner has a color variance that appears a slightly lighter color wash of about 6" in length and 1" in depth, but this looks to be a printing artifact and not damage. 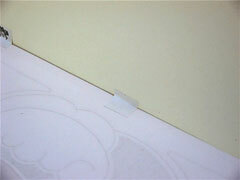 1/4" corner crease top left. Light corner bumps on the other three. The back of the poster shows a very faint indentation about 1" long, but it doesn't seem to be visible from the front. After close inspection I noticed several tiny faint spots throughout the angel's left wing (~20 sand-grain-sized dots) and a few in her hair. Can't determine if this originated with the print or not. There is also a small spot in the blue space below her right wing and above her neck. A small white fleck appears top center just below the dark blue border. Excellent condition but for a near-invisible bump top left corner and a faint sand-grain sized dot about 3" down from top right corner. This can probably be erased, but I'll leave that to the buyer. See multiple pics for detail. Excellent condition. I could find only the slightest edge and corner flaws, which were not significant enough to measure. Beautiful. Corner bumps/creases in the white borders of the two top corners. Creases are near invisible. Left corner bump/crease is 1/2" deep and 2" in length. Right corner is 1/2" deep and about an inch in length. Slight edge bump on left edge about 5" from the bottom, but it is less than 1/16" and is hardly visible. Bottom left corner has slight bump. Overall the poster is beautiful and the minor flaws should not be visible when framed. Corner bump/crease top left, about 1/4" in depth and 1/2" in length. Corner bump/crease bottom left, about 1/8" in depth & 1/2" in length, with light edge bump about an inch above, which is maybe 1/16" in depth and 1/4" in length. Excellent condition, with just an almost invisible corner bump bottom right, about 1/2" in depth and about an inch lengthwise. 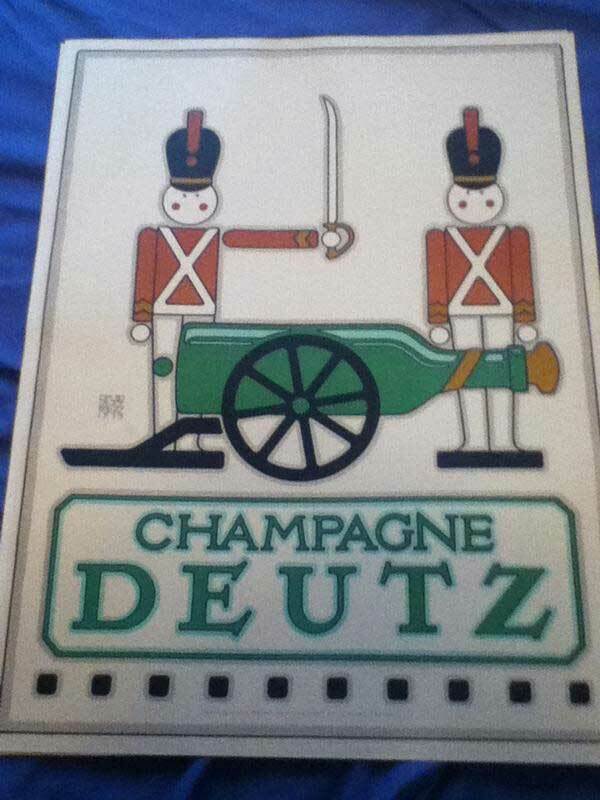 My folks recently moved into a retirement community and found all of these original posters in the back of a closet. I have them available for sale - $100 each plus S/H. Complete folder with all 30 recipes. Please contact me for photos of the entire folder, with images of contents and condition. Payable via PayPal or credit card via Square. 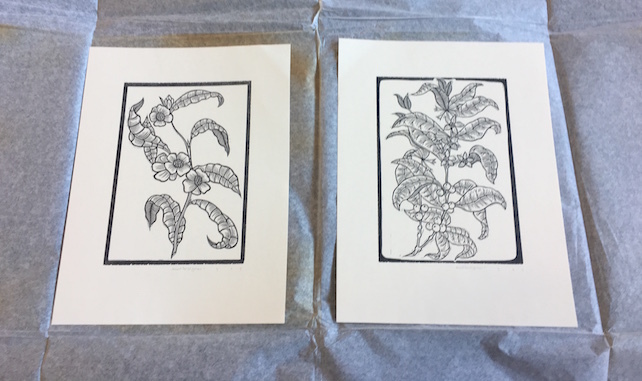 Bought these two prints in SF many years ago and would like to sell. Any suggestions or advice would be appreciated. Interested in buying a (#90) NORTHFACE (MOUNTAINS) poster (16-7/8" x 24") NOT Portal/facsimile. Please contact me. I would like to list Goines' "Frankenstein" (#107). It is unframed, and slightly damaged. Signed and numbered (154/300). I'd like to acquire a full-size replica of the "Acme Bread" poster by Berkeley lithographer David Lance Goines. I plan to mount the poster on the pantry wall in my new house. Selling David Goines original BART poster (uncut). It is in great condition. BART Poster #35. Original. Uncut. Done in 1974. In search of the Asilomar poster. I *love* Asilomar (the place) and used to have the poster but have no idea what happened to it! Selling poster #230 from this photo. Mint condition. Make me an offer. 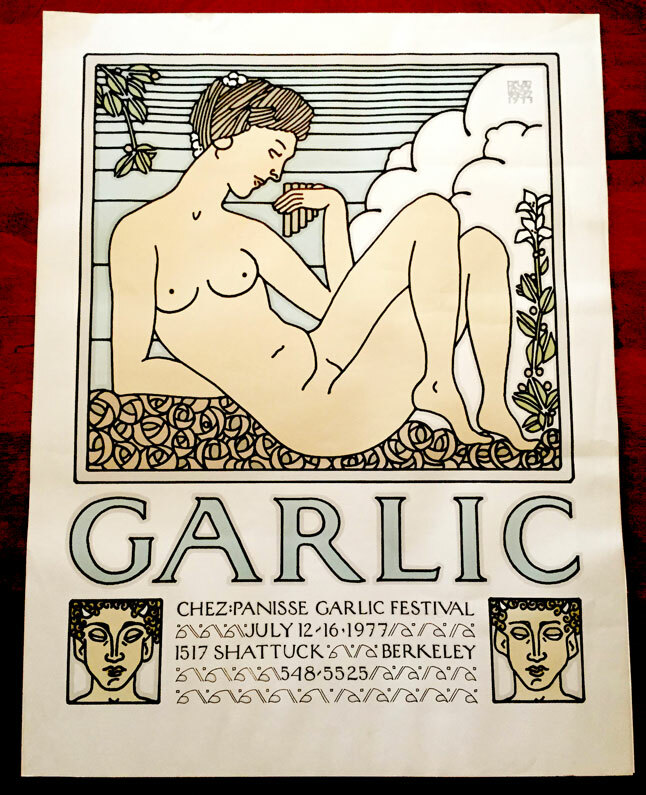 Selling poster #221 , Chez Panisse 37th Anniversary ("Grow What You Eat"), signed (99/125), unframed but has been carefully stored, perfect condition. Make offer. #108 Carousel Animals - Commissioned by my carousel restoration studio in Oakland. I have a few dozen unsigned posters remaining. Perfect condition. $45 each includes shipping within the US. I purchased it from India Ink Gallery, Los Angeles in 1975. $400. "M". 1982. Hand signed and numbered limited edition, 119 / 300. Excellent condition. Stored 1982 to 2003. Professionally mounted and framed to a high standard in 2003 by Kosnar`s of Melbourne, Australia. Frame 84 cm. by 64. $1000. Interested in buying a reproduction of the Berkeley VD Clinic. Unsigned, unframed copy of #214 "Camp Kee Tov" poster in very good condition. Asking $100. We live in Berkeley and can arrange for pick up/drop off, or mail it for an additional $10. Have original San Francisco Symphony. Looking for Asilomar. Found this (Poster #110) in my closet. Helped a guy out a few years back and he gave it to me. Don't know anything about it but found this website so I thought I'd see if anyone is interested in it. Poster #1. Selling The Kitchen - The first poster ! - in pristine condition. Rare. It is in the best condition possible. It looks the way it did when I went to The Kitchen on Shattuck Avenue and purchased it back in the late 1960s or early 1970s. Selling it for $1,500. All professionally framed…can be unframed if you like. This is DLG's #65 print 'Garlic' made for the Garlic Festival in 1977. 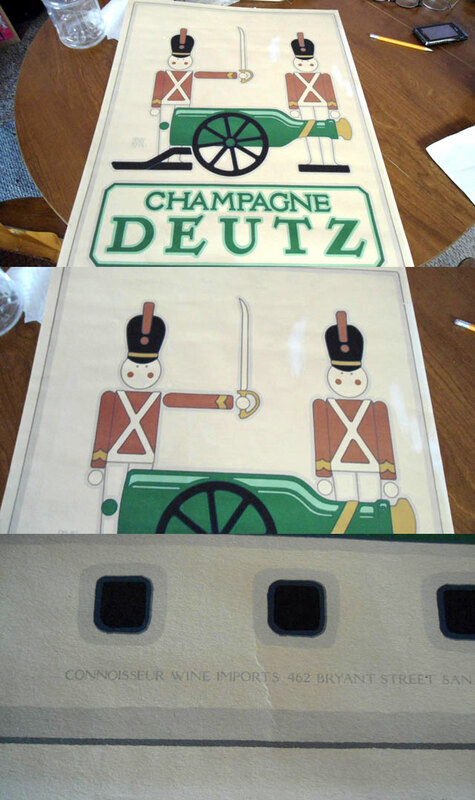 Attached to the original cardstock at the top, it is 24 x 18in and unsigned. It shows some signs of age and wear from being under glass for many years but the colors are still solidly vibrant as intended. It is in beautiful shape- no pinholes or tears. Asking $385, shipping included and can go through PayPal. Will insure package and send in flat cardboard. -Email me at if you're interested. I have subject bottle which has been made into a lamp. It was a dummy bottle commissioned by Mt. Veeder and believed to be one of a kind. Am interested in highest bid. I would like to sell a framed poster #27 signed by Mr. Goines among 150, and purchased and framed at The Poster in '73/74. I noticed it has a small light colored stain at the bottom left outside the line, so it could be reframed. I could send an attachment showing this to interested buyers. I am selling: Poster #54 The Annunciation. "Christmas Greetings 1975 from Joseph and Laurie Alaimo,"
I am selling # 55, San Francisco Symphony (without marathon), 1975, 18/100. 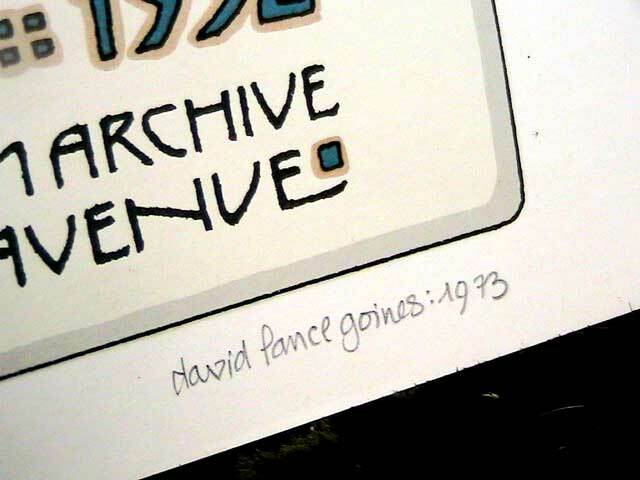 It is a hand signed first edition David Lance Goines print. It is in pristine condition. I have kept it in an acid free box since I purchased it from Thackrey and Robertson. I am asking $ 950.00. I have a beautiful collection of 17 David Lance Goines prints I wish to sell. I have kept these prints in an acid free box from the time I purchased them from a reseller in 1999 or they have been framed (as indicated) and proudly displayed in my home. All posters are in excellent condition. 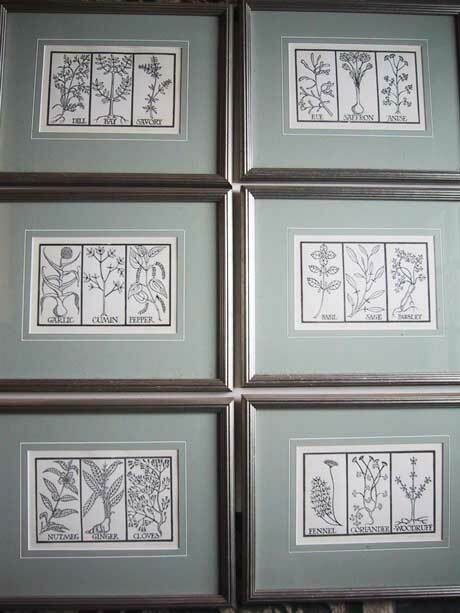 All framed prints were framed professionally in Arts & Crafts style. Buyer pays mailing and handling costs (approx. $12 per package & mailing). No refunds or exchanges. I would like to sell the beautiful, original David Goines Poster #122 - The Physiology of Taste (unsigned) in excellent condition. It is beautifully framed in a quality copper colored metal frame. Edition of 1587 copies of which 300 are signed 1-300, 26 are signed A-Z as artist's proofs, and five sets are signed as progressives. July 12, 1978 Eight colors, including gold foil stamping done by Marier Engraving 18" x 24"
My copy has a Foil Error on the Iris (see photos) I would like to try and sell it for $1000.00 or Best Cash Offer. It is professionally matted and framed. I have four David Lance Goines posters for sale. I met David in the 70's when I lived down the street from his print shop. He gave me four unsigned original posters as a gift. They are all in good condition. I am interested in selling: 33- IMages Medievales, 57-Carpet Center, 59- Bookshop, Santa Cruz, and 69-Nosferatu. Available for sale, most posters have never been framed, many are first edition printings. More info/photos available. 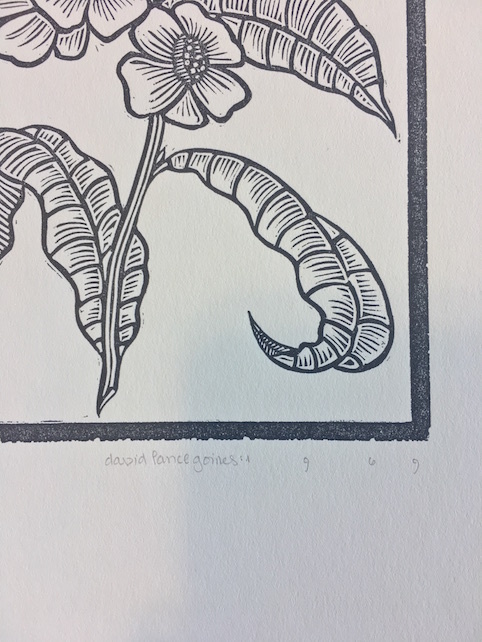 Offering for sale: unframed, unsigned original lithographs by David Lance Goines in excellent condition, never framed and stored in climate controlled conditions, dating from 1968-1994. Original - Letters From An Unknown Women #68 - signed and dated. 71/300. 1977. Unframed. Nearly perfect condition. Upper left corner has a few small creases but they do not extend into the picture. Would not show at all once framed and very minor. Would be glad to email detailed photos. $700.00. I am interesting in buying Berkeley Conferene Center (Howl) #154 for a reasonable price. Have one to sell? I have an unsigned (#112) New York Poster For Sale. It was purchased at auction, and is in pristine condition. Price $225. 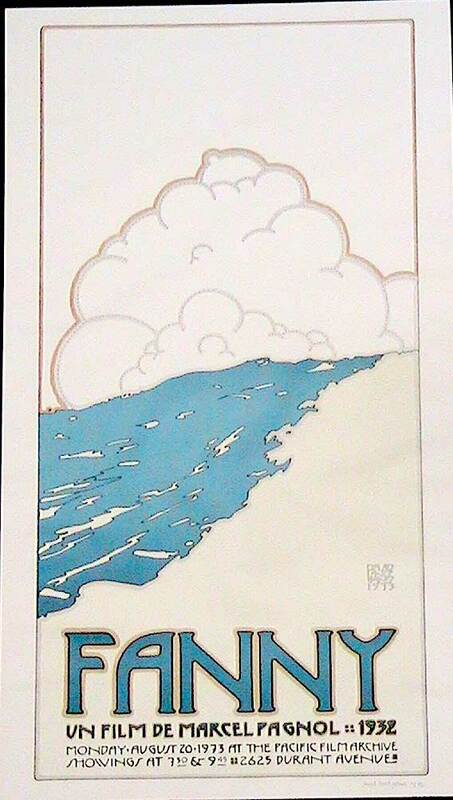 I have an unsigned David Lance Goines Poster (#90 Northface Mountains) facsimile in very good condition. $150. All are signed first editions, purchased directly from Thackrey and Robertson in the 80!!! !s, expertly and professionally framed, and in excellent condition. Will consider trade for Martin Guitar. I have #248/300 of the signed 1982 edition of Quilt Show poster. It's been framed since it was given to me as a gift--if not in 1982, then in 1983. I have not had it hanging for more than 20 years, stored in the dark. I can't quite tell, but there may be some darkening along the edges. $350. For sale at $250.00 . one owner for the last 30 years, stored flat in acid free paper, unsigned , shipping from france, contact me at jesarchives@hotmail.com . 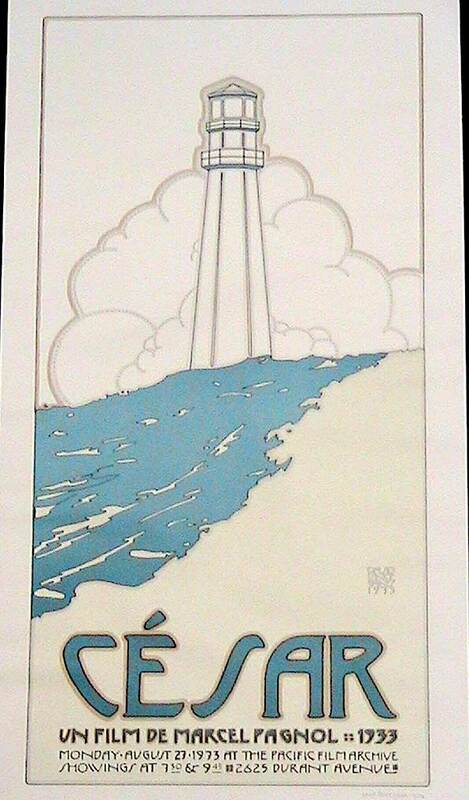 I have 16 original, pristine copies of David Lance Goines' #100 "Hubbard" poster to sell. Not signed or numbered. They were left to a friend, so I do not know their background, but they are flat and unmarked, and smell nice. $35 each. Hello. I have two professionally framed Portal Publication posters for sale. #58 and #40 both are framed in a heavy steel frame and ready to hang. If you can't afford an original, this is the next best thing. Asking $200 each. Chicago area. Will ship. I am interested in selling the following signed and numbered posters. I would prefer to sell the collection in tact, but will consider selling individual images for a reasonable offer. 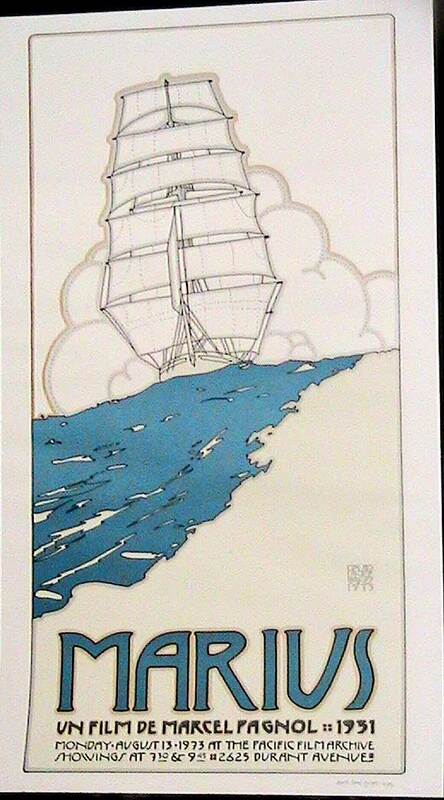 I have the following three David Lance Goines posters for sale. Each print is in a custom frame and ready for hanging. Hello. I am in search of a signed #27 Poster. Thank you. Offering for sale: unframed, unsigned original lithographs by David Lance Goines in excellent condition, never framed and stored in climate controlled conditions, dating from 1968-1994. Please note one SIGNED print #39 Les Animaux -- all others unsigned. Filmex #51 (1975 unsigned) Describes film series from Cannes Festival presented by Filmex, UCLA Film Archive, and Pacific Film Archive at UCLA and UCBerkeley's PFA. Seeking poster #207: Alta Bates Summit Medical Center Centennial. This is not the reprint from the late 70's, this is the original print that I have for sale. I have e-mailed Mr. Goines photos of the print framed and he has verified that it is authentic. I am open to offers on this print, and as far as research has shown, the only other print available like this is in the Library of Congress in poor condition. This one is mint! Also have pictures available and can send at any point! Thank you! 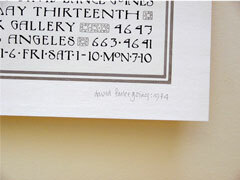 New lower prices for my three original first edition serigraphs by David Lance Goines. They have been hanging on the wall of a below-ground basement room and are all in good condition, although the frames are a bit worn from a recent move across country. I am the original owner and my new home doesn't have enough wall space for hanging them. I am eager to find a good home for them, so I will entertain any respectful offer. 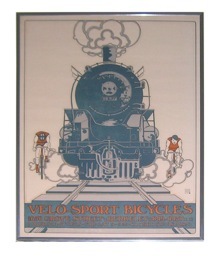 From my research, all these serigraphs appear to be very rare and especially valuable. The dress color is faded even though it had been hanging in a basement with no direct sunlight. 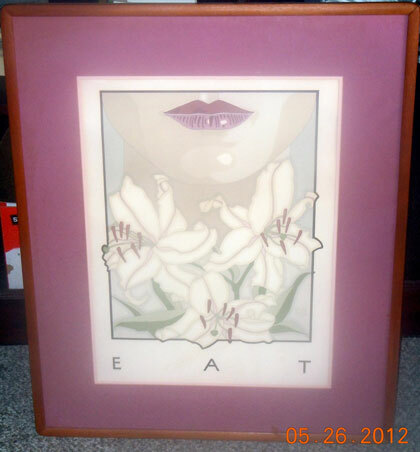 I would like to list my Eat poster on your poster exchange. It is beautifully framed. I am asking 950.00 but serious offers will be considered as well. I have several hundred of the Berkeley Summer School posters, which I rescued from the dumpster after the summer session ended; they were about to be pulped. They are all in mint condition. Let me know if anyone is interested in acquiring them. I love the Mount Veeder Wine poster and would love to buy a print. I don't need an original and honestly can't afford one, but would love to hang a framed print in my apartment if possible. I can be reached at winsorbeach@gmail.com. 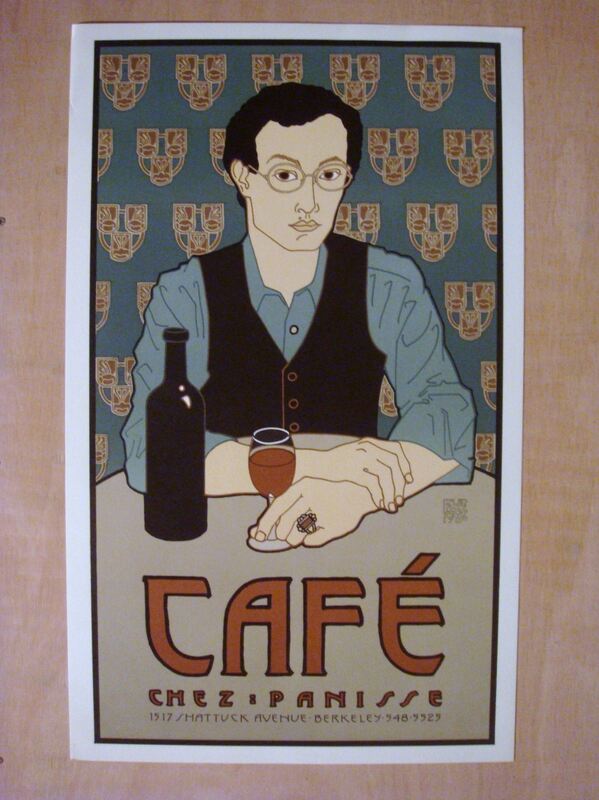 I would like to sell the following Chez Panisse-related posters. Signed and numbered as noted. 1) #14, Chez Panisse, Red-Haired Lady, mint condition, unsigned, $700. 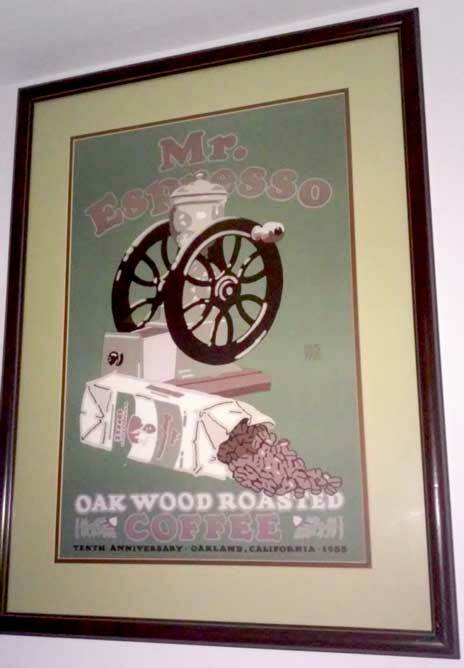 2) #86 Cafe Chez Panisse mint condition, unsigned, $300. 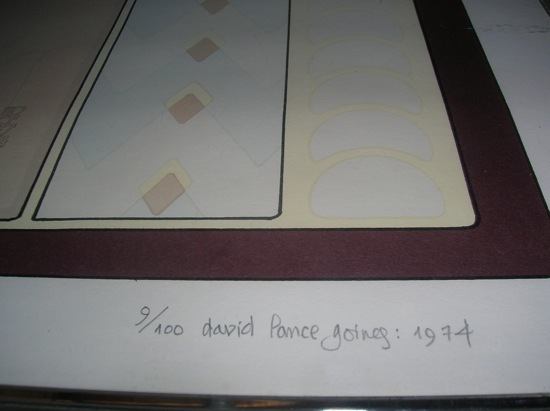 3) #89 Chez Panisse EAT mint condition, signed, numbered 72/300 $1150. 4) #92 Chez Panisse, Tenth Birthday, mint condition, signed, numbered 38/300 $500. All are signed first editions, purchased directly from Thackrey and Robertson in the 80!!! !s, expertly and professionally framed, and in excellent condition. Signed and numbered (16/100/1975 ) San Francisco Symphony serigraph for sale: $1,000 OBO. The poster is unframed and in excellent condition. I'm the original owner and purchased the poster from Thackeray & Robertson Gallery. I have a signed, original (13/100) "Early Masters of Photography" (#42) poster. This is a rare poster, continuously framed since it was received as a gift in 1974, and it has been kept out of direct sunlight. The light browns have faded somewhat to a gray, however the overall contrast remains. I will consider all respectful offers. I have three original first edition serigraphs by David Lance Goines for sale. They are all in good condition, although the frames are a bit worn from a recent move across country. I am the original owner and my new home doesn't have enough wall space for hanging them. I am not sure what to charge, so I will entertain any respectful offer. From my research, these all appear to be very rare and especially valuable. 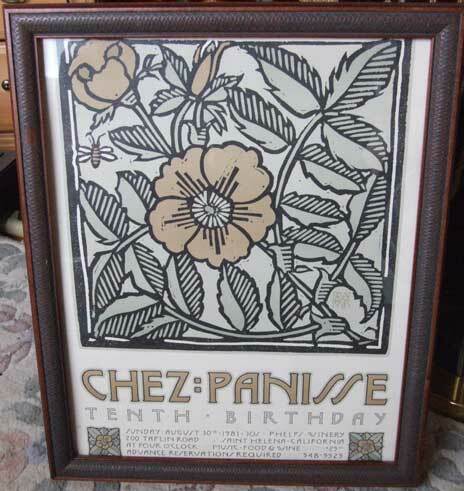 From 1974, A signed and numbered 9/100 serigraph of #(41) Chez Panisse Third Birthday, asking $1000. The dress color is faded even though it had been hanging in a basement with no direct sunlight. I am interested in selling all or part of my collection of 8 remaining hand-signed and numbered Goines original posters. 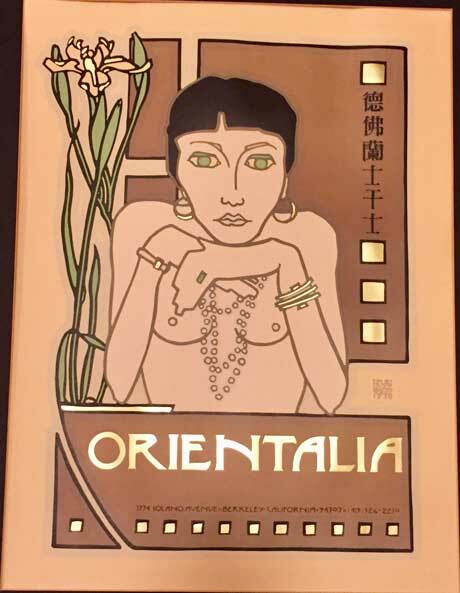 Nine of the origianl ten were purchased from Kay Thackrey (one from Thackrey & Robertson) and were beautifully custom-matted and framed by Kay's personal framer, Carla Minckler. They have been kept from direct light and extreme temperatures and are all in very good to excellent condition. The first two listed are also considered very rare. Entire collection available for significantly less than appraised value - all reasonable offers considered. I would like to sell these hand signed first edition prints held in an acid free box since I purchased them from Thackrey & Robertson. 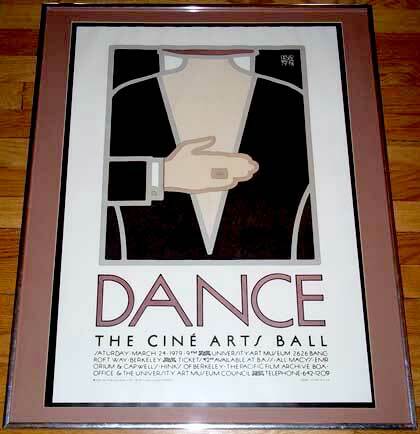 Offering: 30 posters suitable for framing. The prints indicate 1968 printing, original wrapping, kept flat and unframed. 25 prints total. reasonable offers considered. 20 x 28. Framed in simple black metal frame with glass. $40/offer. Pick up in Walnut Creek. I have 2 posters for sale which are both hand signed and dated. 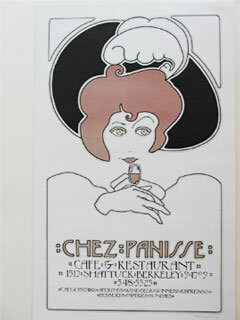 First is #14 Chez Panisse Red-Haired Lady, dated 1973 (15"x24"). 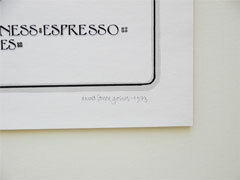 The second is #37 Goines at India Ink, dated 1974 (13"x24"). 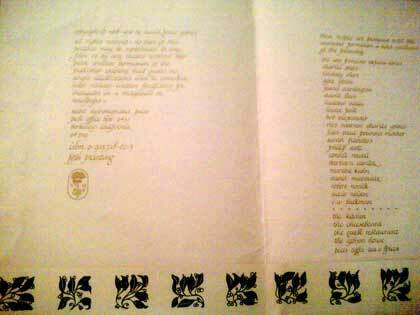 The paper is in very good condition; however, the some of the colors have faded. 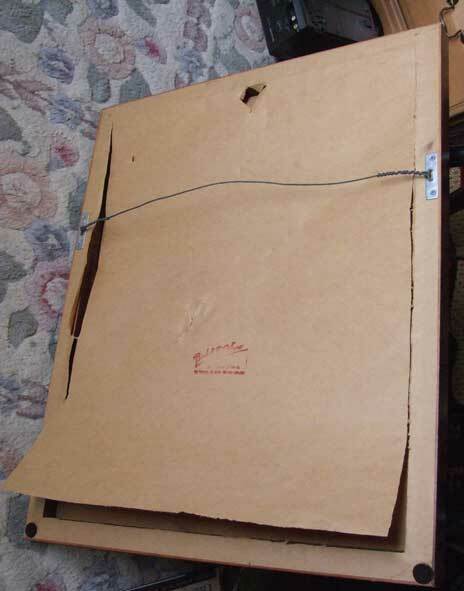 Each one has also been hinged at the back to a mat as shown in photo, using post office gummed stock--very creative, but not archival, I'm fairly certain! If these pieces would interest you, please make an offer. If you are in the S.F. Bay Area and would like to see them in person before committing, I can arrange. "Thirty Recipes Suitable for Framing" - Sixth Edition, dated 1970. The full set is custom framed in simple black to match each print's size individually. These were hung in an interior hallway away from daylight for three years - previously they were stored in the original folder which is included. Sold as a full set. Please email me for images or to make an offer. "30 Recipes Suitable for Framing" (Fifth Printing) purchased in 1976. Portfolio has been flat file stored and is in mint condition. Asking $300. I lived in Santa Barbara in the 70's and became friends with a lady named Kay Thackery. I need to sell my small collection of posters. They are all signed first editions prints. Only three of them have been framed, and with proper professional care. They are the America, Eat, and Chez Panisse 4th. THe others have been carefully stored since the day I bought them. I would like to sell my small collection in it's entirety for $6,650, which is half the listed market value. The collection is: #40 America, #49 Chez Panisse 4th, #71 New Years Greeting, #73 Orientalia, #79 Messiah, #89 Eat, and #90 Northface. There is "no"line across the bottom saying "Portal Publications." No dot's. printed on a soft-surface, dull looking paper. Here is what I would like to sell. All are framed and in very good condition. They have been framed since their purchase in 1975. Please contact me via email. I will accept any reasonable offer. I have a framed poster Music and the Movies. 1975 David Lance Goines. In excellent condition and is professionally matted and framed. Poster framed measures 15 x 32. Los Angeles Company framing label on the back. #19 "The General" 2nd edition Signed and Framed. With Orange Disk behind train. 1973. Excellent condition. #27 "Goines" Signed and Framed. 1973. Excellent Condition. #65 "Garlic": framed, under glass, kept fresh from exposure. It's an original that I bought in 1977. 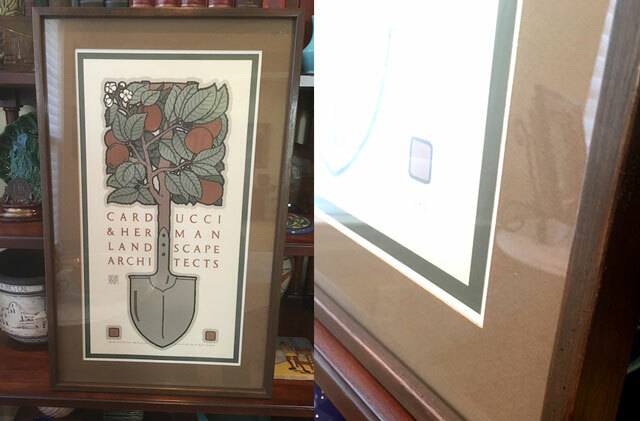 I have a signed Carducci & Herman Landscape Architects signed print - number 141 of 300. I'm selling a D.L.G. #146. It is in new condition, never hung, never rolled, but kept flat, and away from light. It's unfortunate that it is still so relevant, but this would make a great gift for your favorite peacenick. Location is Berkeley, CA. Just ruined my David Goines Chez Panisse ninth birthday "EAT" poster. Are any available? It is Portal Publications DG077 lithograph reproduction - 20" x 28". I have two original, signed and framed posters for sale: Quilt Show, #96 and Lord Nelson Beer, #97. They are both in excellent condition. Thanks. "Thirty Recipes Suitable for Framing" with cover, 2nd printing, 1970. Set contains 27 of the original prints, all in excellent condition. Best offer. all are originals, none are signed. best offer. Large number of signed Goines posters for sale. They were collected between 1977 and 1990. They have been kept in an acid-free box, away from light and unframed. Contact me at ggreen4793@yahoo.com. with specific requests. #28 (Marius), #29 (Fanny), #30(Cesar) from Group 2. All 3 are Originals & Signed, they are in good condition. Here is what I have. They are unsigned and should be originals as I got them in the Bay Area in the early 1970's. They are in excellent condition as they have lived unframed in a tube. Available for a reasonable offer, a framed 1975 (#55) San Francisco Symphony (Unsigned, Marathon version). I'm offering these three unsigned prints for sale as a group. They are mounted, and most likely cannot be removed from their mounting, but they are all in attractive steel and glass frames, which will be included. The bottom corners of Marius and Fanny have light water stains, which are only visible up close. I have a large quantity of Goines' signed posters, all in A-1 condition, being kept in an acid-free, light proof container. Please e-mail me if you want further info. or have request for specific posters or poster. I have a David Lance Gaines piece that I would like to sell. It is a framed and matted #59. It is signed by Gaines and listed as number 86/200. For sale - complete 'Thirty Recipes Suitable for Framing' folio, with cover. 2nd printing, 1970. Cover is in good shape for its age. The prints are near mint. 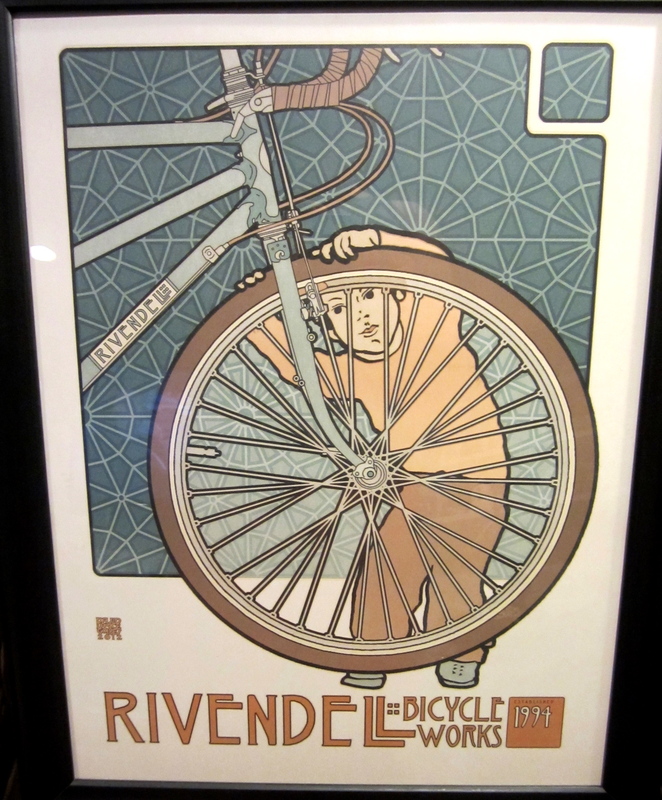 Interested in purchasing original David Lance Goines posters. Excellent to mint condition although exceptions will be made for rare examples. Signed preferred, but will consider others. Particular interest in those related to Chez Panisse and/or Alice Waters. I have the following signed posters available: 62,67,68,76,91,92,98,100,103,104,105 and113. All have been stored flat, never framed and in excellent condition. I have #92 unsigned in a frame. We took off the back of the frame to see if it was signed and it is not. As pictured. Offers being accepted. Front of framed poster, back of framed poster. I would like to sell David Lance Goines Poster # 1 - The Kitchen, the original work from 1968. In beautiful condition with a few minor creases, but in overall wonderful condition. 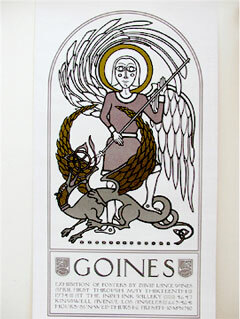 Goines has listed the work for sale at $2500 - please make a reasonable offer. I also wonder if there are any dealers who may have some of this man's work. I had checked with the IVPDA as they once had something available by him, but not at this time. 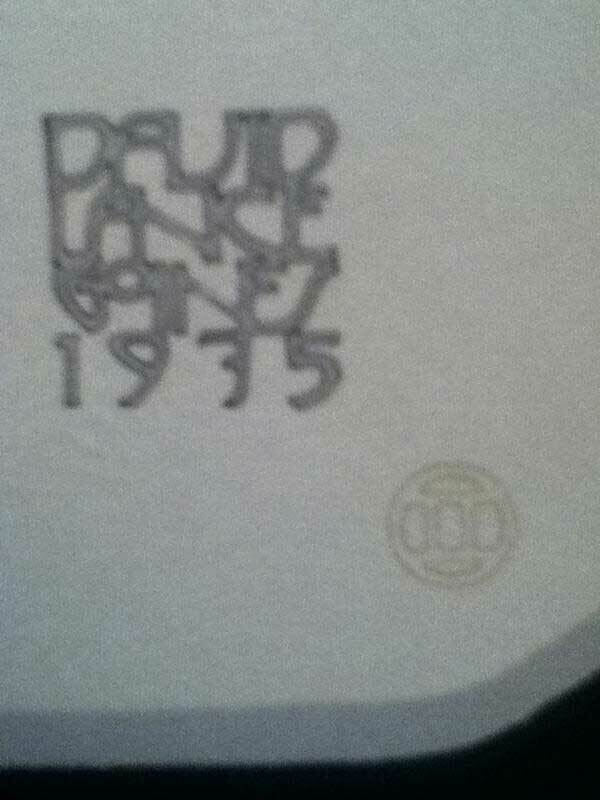 I would like to know the value of a laminated #60 Chez Panisse 5th Birthday, bought in 1982. In moderate condition. Up for sale is #27 (Exhibition at the Poster) 18" x 24" signed and beautifully framed- 1973 David Lance Goines has appraised this particular poster at $3100. Please make a reasonable offer, must sell. and #(55) “San Francisco Symphony” signed and numbered 18/100. Both posters are in excellent condition. SIGNED. 1st Edition. 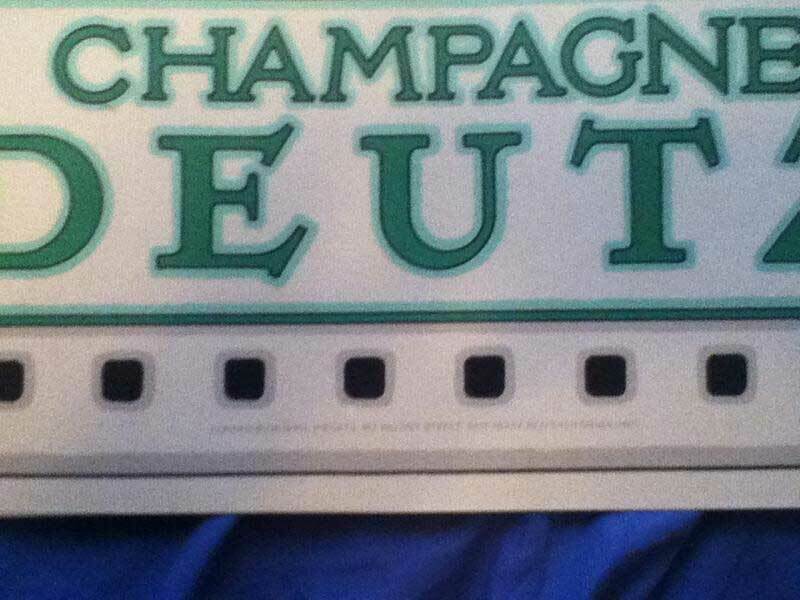 (#50) Champagne Deutz. Archival framing. Acid-free mat board. Ultraviolet-filtering plexiglass. Will ship framed or unframed. Unframed but matted will ship for less. 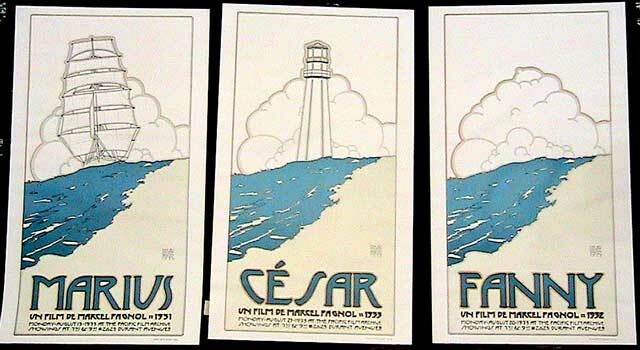 I am looking to purchase an original print of Poster #2, Qui Tacet Consentit. I am interested in selling the entire collection (including outer cover) of "Thirty Recipes Suitable for Framing". It is in excellent condition, never framed, and has been kept in a dark place. I am desperately trying to find "Thiry Recipes Suitable for Framing" by goines. I have the folowing recipes from "Thirty Recipies..." They are all professionally framed in a butcher block wood frame under glass. I have had them since the late 60's or early 70's after I saw them in an issue of "Communication Arts". They are marked Copyright 1968 and were purchased directly from Goines. All are in excellent shape. If you have an interest, please e-mail me at dickh5@cox.net and I will send a picture of one so you can see the frames. I am seeking "Chocolate Mousse" from the "Thirty Recipes Suitable for Framing" collection. "I beleive that I made 25 signed prints, though at the time I did not number them. 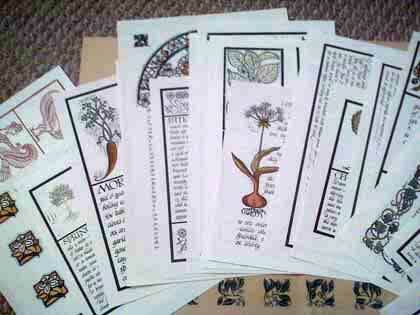 The prints were indeed based on illustrations in an herb book printed around 1500 and reproduced by Dover publishers". Though these "studies" were his very first printed works, it was #1 'The Kitchen' which was his first paid commission from a client, he said. Orignally purchased from Thackerey & Robertson in Santa Barbara. I am asking $ 10,000.00 for the set of six.